Ever seen an injured stray on the side of the road and wished you could help, but didn’t know who to call? A couple of months ago, I started thinking about how technology could help address this problem. I began to imagine a mobile application which anyone could use to quickly report injured or ill strays to a central database, including photos and GPS locations. This information could then be used by rescue agencies dedicated to stray assistance. The more I thought about it, the more viable it seemed. After a few experiments, I had the basic user interface ready and a MongoDB database provisioned to receive user reports (with GPS coordinates automatically included). I added an option for users to attach photos from their device cameras to their reports, and hooked it all up to the Google Maps API so that every report could be correlated with a visual map location. A few minutes later, and it was live on Bluemix. 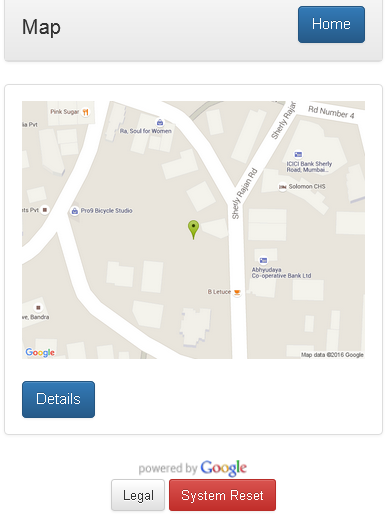 And here’s an example report cross-referenced with Google Map data. This additional information makes it easier to locate the animal being reported. Try the prototype out, or fork the code on Github and use it for your own neighbourhood or city. If you’re interested in finding out more, read my developerWorks article, which walks you through all the technical details.